Stephen Chidwick extends run at the top of both the @GPI Player of the Year and overall rankings. Stephen Chidwick still leads @GPI Player of the Year race, Justin Bonomo and Jake Schindler close. Each week, the Global Poker Index releases a list of the top tournament poker players in the world using a formula that takes into account a player's results over six half-year periods. For a look at the entire list, visit the official GPI website. Below we look at the 2018 Player of the Year and overall GPI rankings as of October 3. A month has passed since we last looked in on the GPI rankings, and over those four weeks everyone has essentially been holding steady. In fact, when it comes to the top of the 2018 Global Poker Index Player of the Year leaderboard, there has been zero change whatsoever among the top seven spots, with everyone right where they were at the start of September. Stephen Chidwick remains the frontrunner, having now been at No. 1 in the POY rankings for 11 straight weeks. It should be noted, however, that while neither Chidwick nor Justin Bonomo at No. 2 added any points to their totals in September, all five of those behind them did, thereby tightening up the race considerably. That includes Jake Schindler who is still at No. 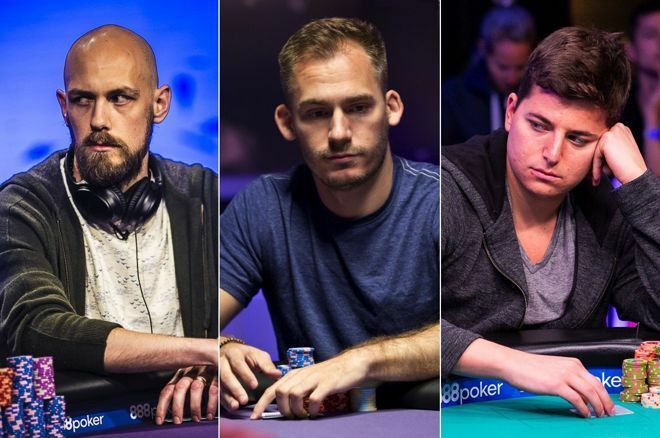 3 though closed the gap with the leaders after making three final tables during the 2018 Poker Masters series. Jason Koon has moved up onto the list, reaching No. 8 after also collecting cashes at the Poker Masters to push his 2018 tournament earnings up over $11.5 million. Ben Yu entered the Top 10 as well and presently sits at No. 9 after cashing twice at the Poker Masters, finishing second in one $25K event and third in another. Chidwick remains at No. 1 in the overall rankings as well, extending his reign as the world's top-ranked tournament player to 25 straight weeks. Since a month ago Alex Foxen has swapped places with Bonomo, moving up to No. 2 while knocking Bonomo back to No. 3. That equals Foxen's highest-ever GPI ranking, while Bonomo also has reached No. 2 multiple times but hasn't quite broken through to take over the top position. Much of the rest of the list remains identical to a month ago. Joe McKeehen (No. 7) and Benjamin Pollak (No. 8) swapped positions as well since the beginning of September. Also, Mikita Badziakouski entered the Top 10 for the first time in his career, moving up to No. 10 just this week. In fact, Badziakouski has moved ahead of Koon on the 2018 Money List, having earned over $12.4 million this year. That total was boosted considerably by his victory in the Triton Super High Roller Series Main Event where the first prize was worth over $5.2 million. Of course, when it comes to tournament winnings in 2018, everyone still remains far behind Bonomo who has won just over $25 million in tournaments this year.